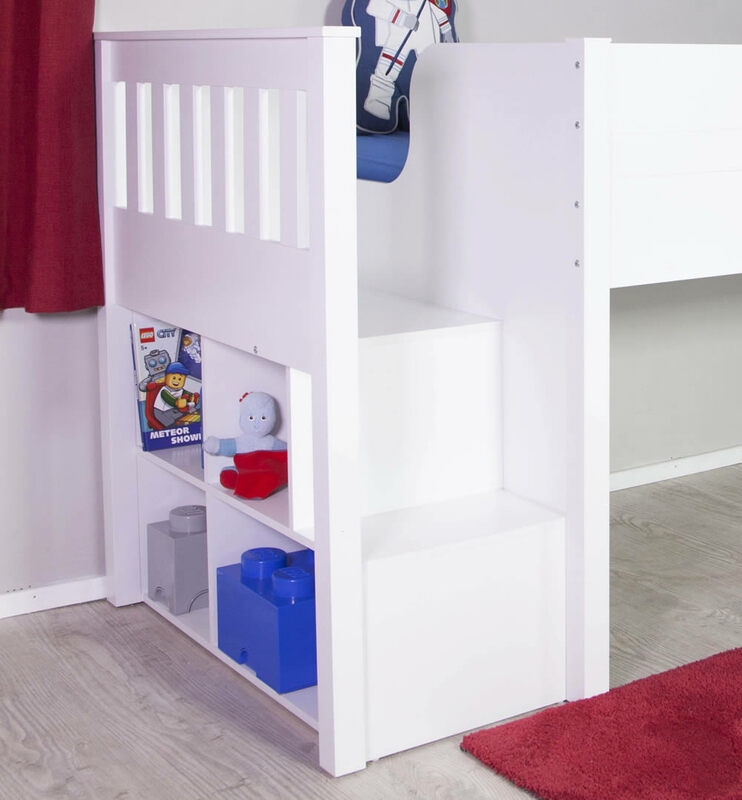 The Flair Furnishings Charlie mid sleeper bed frame in a white finish features a two step staircase with built in storage shelves. 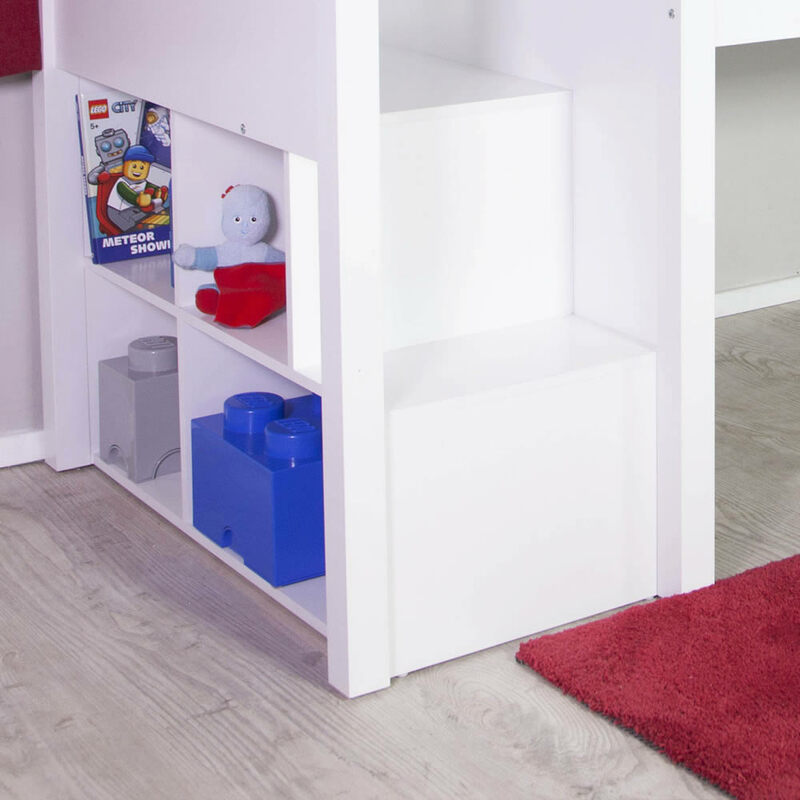 The two step staircase has built in shelving with access from the bed end and has a full width bed end side rail for safety. 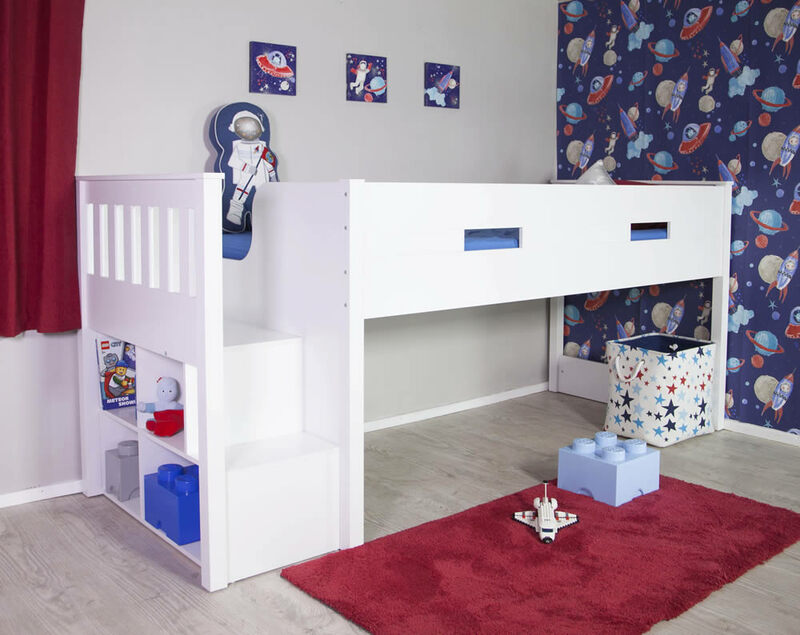 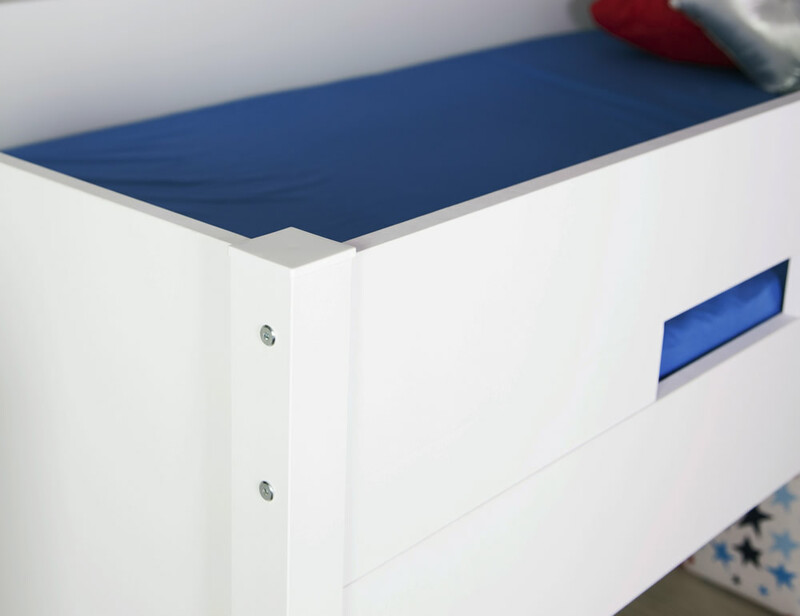 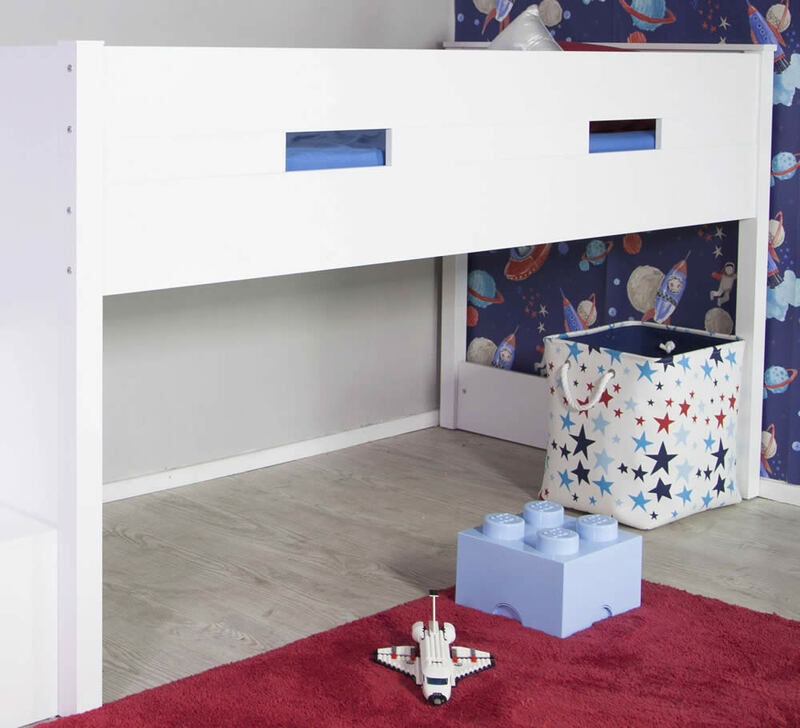 The Charlie mid sleeper is a practical raised children's bed with unlimited uses for all the under bed space whilst offering a real staircase for safer access to the raised sleeping area.